Excuse the reference to the movie “A Christmas Story. 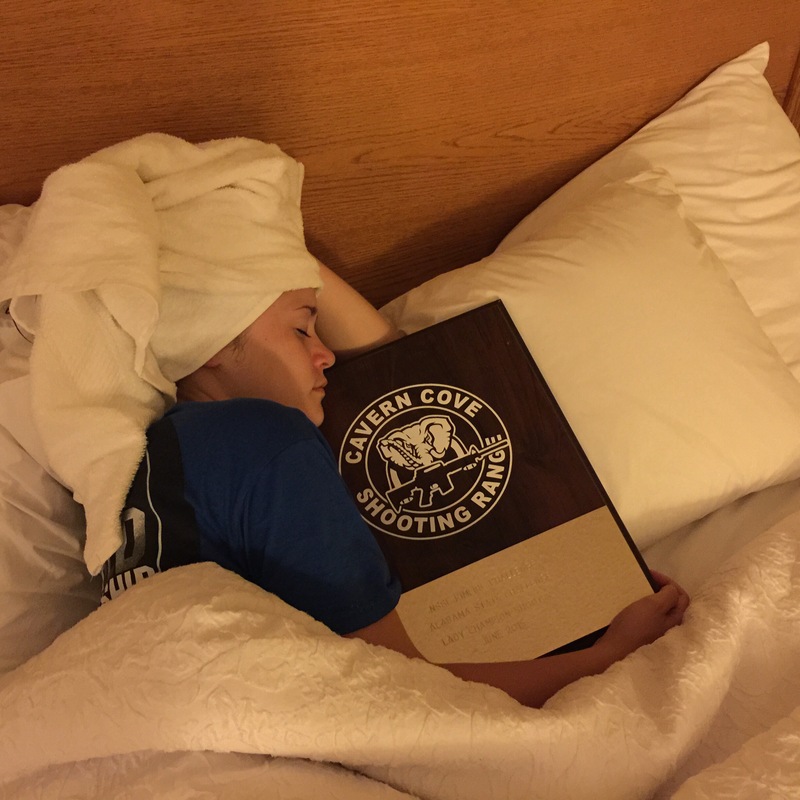 I’ve only been shooting competitively for about two years, and in that time I’ve won several state titles and several local match wins. The one thing that has eluded me was a High Lady overall trophy at a major match. That all changed this past weekend, I’ve heard from several people that the Alabama state rimfire match was a lot of fun and run very well, the facility was said to be amazing too. I had originally planned to attend the Iowa state match but a few friends convinced me to attend the Alabama match instead. My parents, sister and I left our farm on the Wednesday before the match to go to Nashville and do a project with noted photographer Oleg Volk. Oleg and I have worked together before and I was excited to get another chance to work with him. Our trip to Nashville was uneventful other than some flooding in Cairo, Illinois. We arrived in Nashville about 10:00pm and started to look for a hotel. We didn’t realize that the Rolling Stones were playing a concert with over 70,000 fans….. A hotel was hard to find. Nevertheless, we found one and went to sleep. We got up early Thursday morning to try and beat the forecasted heat. We met Oleg at his house and proceeded to the location of the photo shoot. We spent a wonderful day using different weapons and changing outfits several times. We took a break for lunch and headed to a local Thai restaurant and it was excellent!! After lunch we headed back to the photo shoot location to knock out a few more ideas. By 3:30pm the heat was almost unbearable and we decided to quit for the day. We went back to Olegs house and visited for a while. We said our goodbyes and headed south toward Alabama. We ended up spending the night in Tullahoma, Tennessee. What a wonderful little town!! We got up early Friday morning and headed to Lynchburg to visit the Jack Daniels distillery ( my dad’s idea). A few more stops and a few hours later we arrived in Guntersville, Alabama. 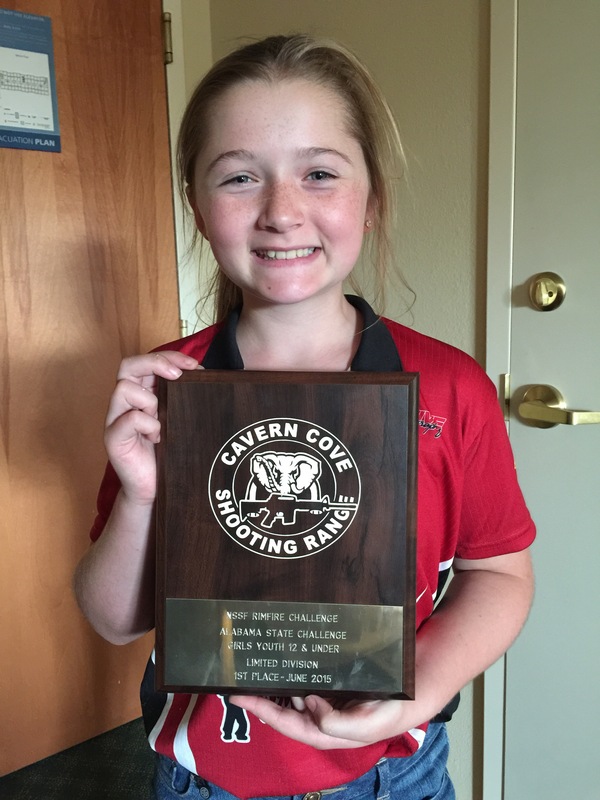 We checked into our hotel and headed out to the Cavern Cove shooting range to check the place out and watch some of the Friday side matches that we’re going on. Cavern Cove is a great facility that seems to host a ton of events, especially cowboy action shooting. As is normal in the south, everyone was very friendly and welcoming. We stayed until we had had enough of the heat and headed back to our hotel. We got cleaned up and went to dinner with a large group of my fellow competitors at a local oyster restaurant. After dinner we played in the pool until it closed ,then we went to bed. Saturday morning seemed to arrive very fast, I think it’s because I’m usually really excited to get the match started. We headed out to Cavern cove to get checked in and listen to the shooters meeting. I hadn’t signed up for any certain squad so I wasn’t sure who I’d be with for the day. It turned out that I was squadded with a wonderful group of Alabama locals. My sister and I were the only ones not from that state. We shot pistol in the morning, which suited me fine. 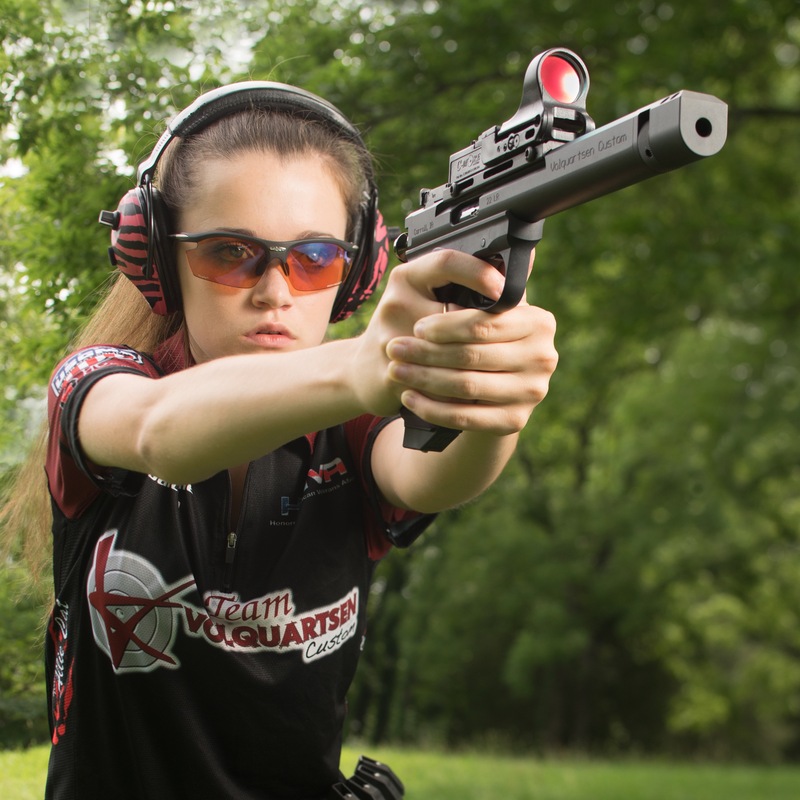 I have been enjoying my new Volquartsen Scorpion pistol this season, it really shoots well. 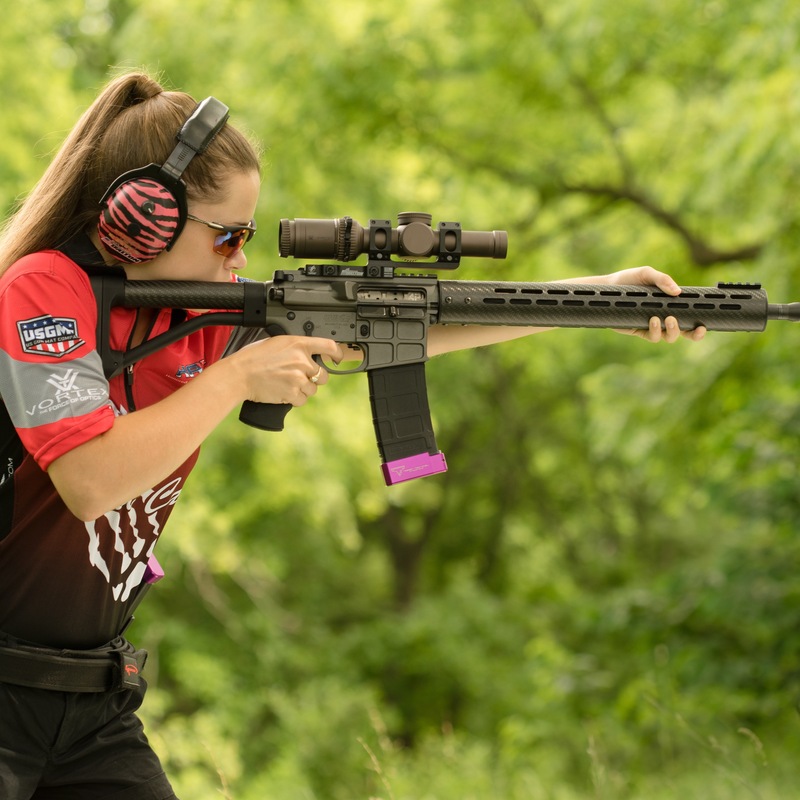 By lunch I knew I was having my best match ever and I kind of thought that if I could just stay focused and shoot my rifle well in the afternoon I would have a good chance at a decent finish. 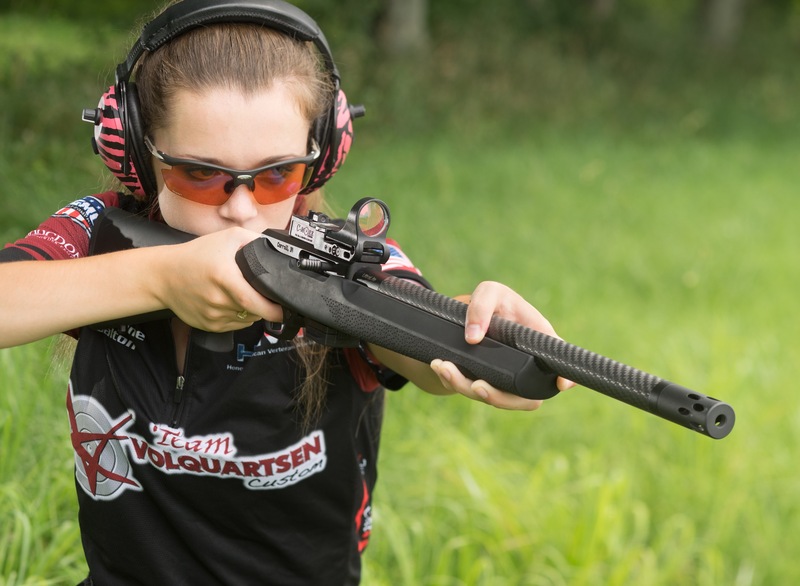 Rifle shooting is really pretty easy when you finally start to figure it out, but there are always unknown variables that can ruin your day. As the afternoon progressed I was having a wonderful time with my squad and my gun Volquartsen Ultralite was working flawlessly, as usual. We finished our last stages and headed to the pavilion to wait for the scores to be tallied. Something I like about the shooting sports is that most of the competitors are very friendly and easy going. I spent some time visiting with friends I’ve known for a long time and others that I had just met that day. The time came to announce the winners of each class, it’s fun to see people win trophies, especially the younger kids. It makes me happy to see the joy they get when their name is called and the fact they know they won, they aren’t just getting a trophy for participating. I ended up winning the High Junior lady open title, so I figured I had a good shot at winning the overall title too. It finally came down to the Overall title trophies, when they announced my name it was an absolute thrill. I’ve been practicing hard the last month or so trying to hone my skills. When they called my name the crowd cheered and I walked up to accept my trophy, WHAT A RUSH!!! The ladies that I beat are great competitors and it’s always fun to shoot against them, one of them I had only seen on Facebook and it was great to finally meet Rachel Smith in person. A true highlight of the day was that my Volquartsen teammate, Ron Oliver won the Overall men’s title. It was a great weekend for the team!!! My sister Maddie also won her class, she was High Youth limited lady, I’m really proud of her. After the match we said our goodbyes and headed back to the hotel to cool off and relax. We ate at a great Mexican restaurant in Guntersville and then went to bed. Sunday morning arrived and we knew we had a 10 hour drive ahead of us. Driving home is almost as much fun as driving to the match, we took a different route home so I was able to see a lot of different country. We made it home about 9:30pm. It was nice to sleep in my own bed again. 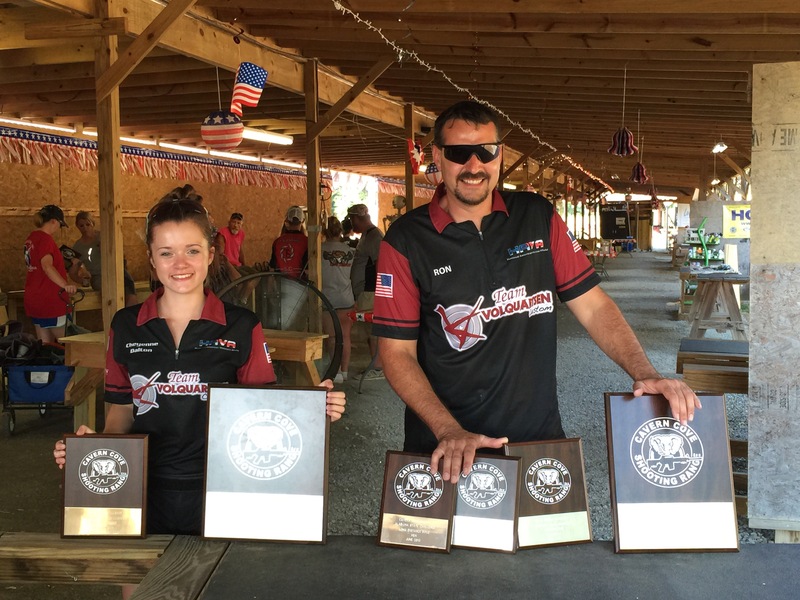 I want to thank my rimfire sponsors for all of their help and support. Volquartsen Custom, Pro-shot products, Hogue Inc. ,USGMC, Tandemkross, FreqEskinz.com, and Pro Ears. Please take your kids shooting and especially your daughters. We are going to grow up to be tomorrow’s mothers and moms have a lot of say about guns in the house. We are the future of the 2nd amendment. Brexit is the contemporary issue for the humans and they are talking loads on it. sure, it's miles right that we have to face its results however the [url=http://onlinewritingreview.com/]online writing review[/url] gets the most impact from it. Discussing the issue within the news make is a not unusual public discern and the commonplace man has the most records approximately it. Brexit is the contemporary issue for the humans and they are talking loads on it. sure, it's miles right that we have to face its results however the online writing review gets the most impact from it. Discussing the issue within the news make is a not unusual public discern and the commonplace man has the most records approximately it.